Fish lovers and pescatarians, take note. Seafood is not the healthy or humane food you thought it was. Want proof? Here are 99 reasons to give up the gills, for good. 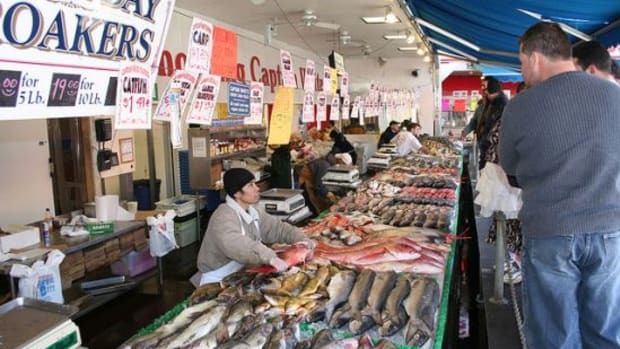 Seafood is the number one cause of food poisoning in the U.S.
More than 80 percent of the farmed fish consumed in the U.S. comes from Asia, where pig and chicken feces are commonly fed to the fish—as their main source of food. ...Which pollute the oceans and fresh waters. The run-off damages coral reefs and other oceanic populations. Fish are commonly contaminated with toxins like mercury. Farmed fish are fed high levels of antibiotics. And are also fed GMO soy. So the more we farm fish, the more we support GMOs. GMO crops support major multinational corporations that compete with small scale family farms. Farmed fish are often fed wild-caught fish. Yes, that&apos;s right! 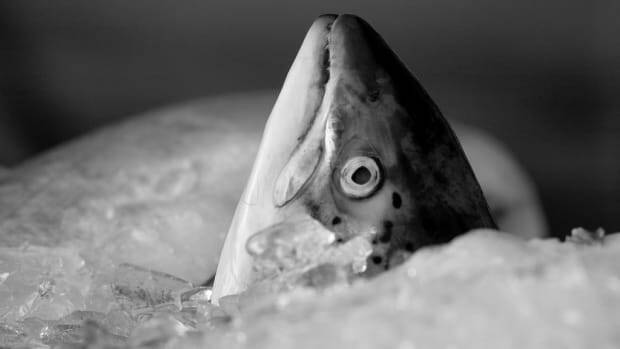 Fish farms are putting pressure on wild populations. How does that make sense, exactly? Farmed fish are often injected with colorings to make them look healthier. Farmed fish can be at risk from predators that can rip through enclosures and cost farms millions in losses and damages. Fish can escape farms and breed, causing overpopulation that throws ecosystems out of whack. Escaped farmed fish can introduce disease and compete with native species for food. 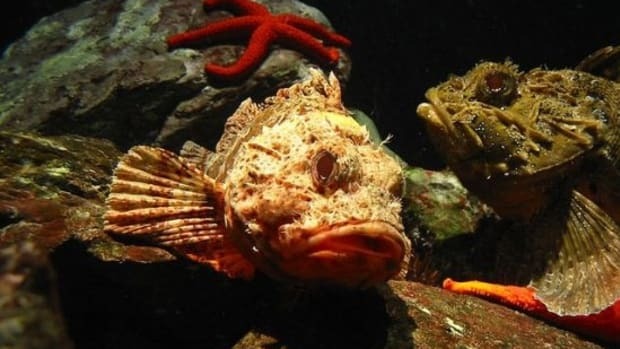 According to Food and Water Watch "Dredging, drilling and other sediment and bottom habitat disturbances, can cause displacement of ocean wildlife and other potentially significant ecological changes." The Great Lakes are overrun with plastic and toxins. Fish eat plastic and other manmade materials that poison them and the people who eat them. How about BP&apos;s Gulf oil spill? Eighty-five percent of the world&apos;s fisheries are being harvested at capacity or are in decline. 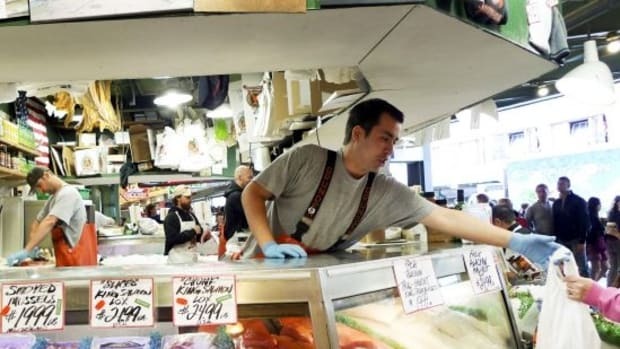 Investigations throughout New York City found frequent fraud when it came to fish. 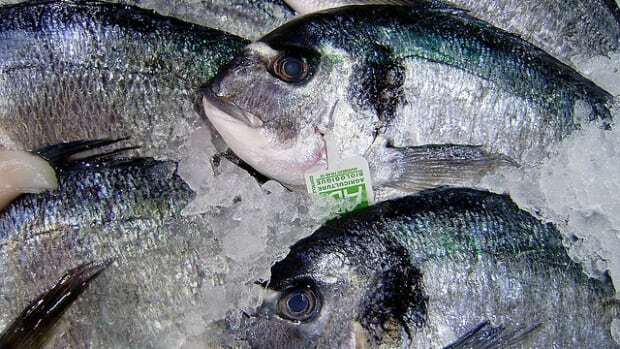 Consumers paying for higher priced fish often got cheaper varieties instead of what they ordered. According to researchers at the University of Illinois, fish-eaters with high levels of PCBs in their blood have difficulty recalling information they learned just 30 minutes earlier. 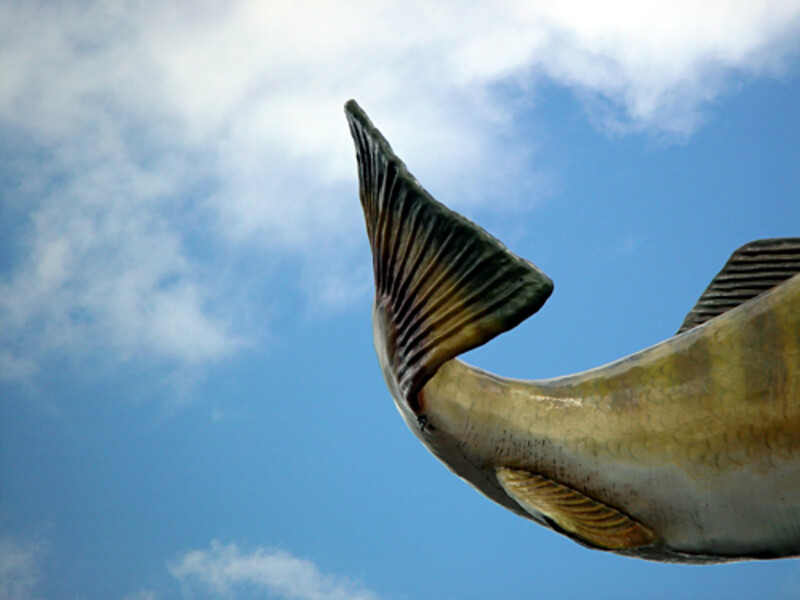 Imported catfish are fed antibiotics banned in the U.S.
Caviar? Only if you like contributing to overfishing and endangering sturgeon and beluga populations. Atlantic cod is only one step above being listed as endangered. Eel is like a sponge for PCBs. "Imported farmed shrimp comes with a whole bevy of contaminants: antibiotics, residues from chemicals used to clean pens, filth like mouse hair, rat hair, and pieces of insects," according to Food and Water Watch. F&WW states that Populations of Atlantic flounder, sole, and halibut "are as low as 1% of what&apos;s necessary to be considered sustainable for long-term fishing." 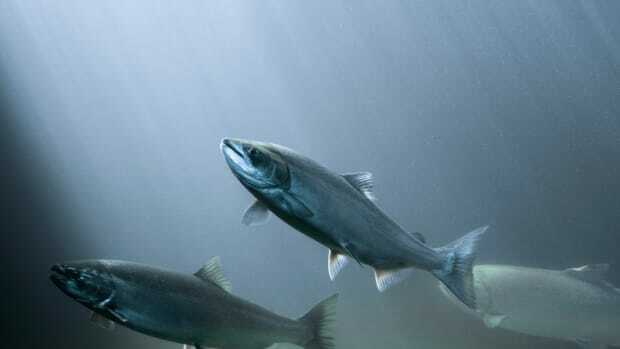 Salmon, one of the more popular fish species, is also heavily farmed in unsanitary conditions that breed infections and disease. Think you&apos;re eating Alaskan King Crab? Imported crab comes from Russia, where limits on fish harvests aren&apos;t strongly enforced, and even worse, it&apos;s often mislabeled as Alaskan King Crab, which is more sustainable. So, you personally might not eat shark fins, but close to 100 million sharks are killed each year for their fins. When shark populations die, other species proliferate and throw ecosystems out of whack. According to a report by the General Accounting Office, the seafood industry is dangerously underregulated. Jellyfish populations are exploding thanks to overfishing of sardines. Dolphins and whales still get caught in fishing nets and lines. And the more we overfish the oceans, the fewer sources of food for dolphin and whale friends. It&apos;s not just the dolphins and whales, either. Marine turtles, seabirds, sharks and corals die "due to inefficient, illegal, and destructive fishing practices," says the World Wildlife Fund. According to the WWF, "the global fishing fleet is 2-3 times larger than what the oceans can sustainably support." And, "53% of the world’s fisheries are fully exploited, and 32% are overexploited, depleted, or recovering from depletion." 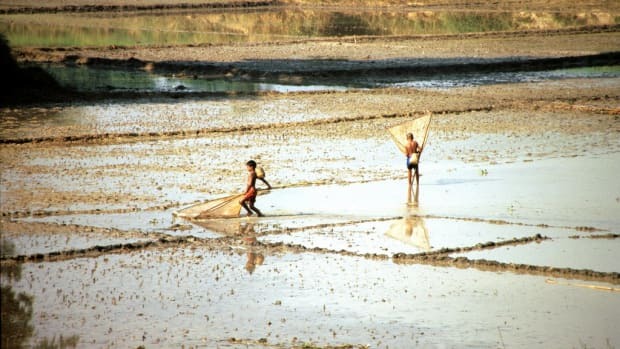 And…"Most of the top ten marine fisheries, accounting for about 30% of all capture fisheries production, are fully exploited or overexploited." 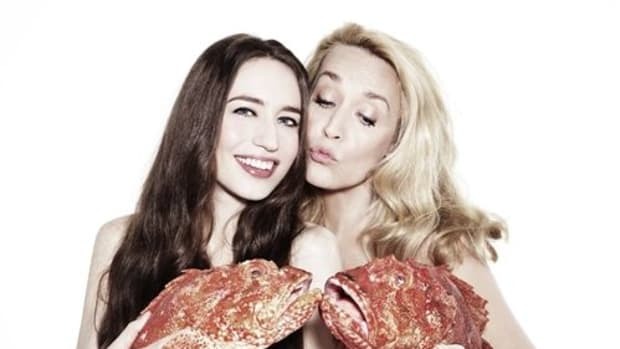 Plus, "newly fished populations, such as monkfish, Patagonian toothfish, blue ling, and orange roughy, have already collapsed in some areas." And, "most deep-water species are likely to be over-exploited—and as many as 40% of the world’s fishing grounds are now in waters deeper than 200m." According to the Monterey Bay Aquarium, "Scientists estimate that we have removed as much as 90 percent of the large predatory fish such as shark, swordfish and cod from the world&apos;s oceans." And "the world&apos;s oceans are in a state of "silent collapse," threatening our food supply, marine economies, recreation and the natural legacy we leave our children."